This austere Georgian church is perched on a hillside overlooking Delph. St Thomas was built in 1765 by the local community who named it Heights Chapel. Inside, it is sparse yet atmospheric with a stone flag roof and a bell-cote. 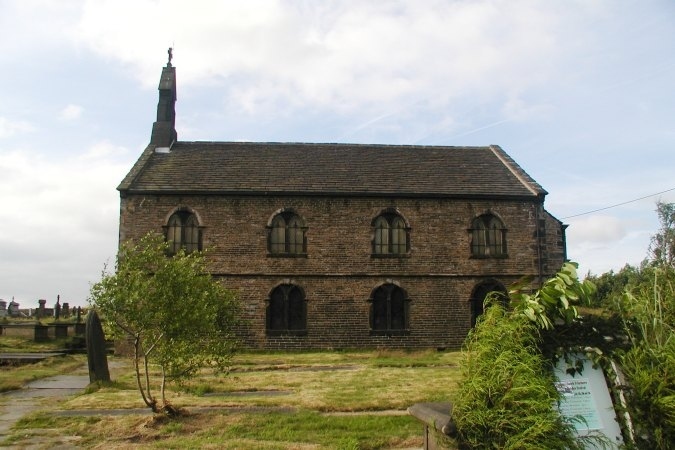 As a ‘preaching church’ it has galleries on three sides and a small sanctuary with a plain Venetian style east window. Many of the 19th-century fittings were removed to the new parish church in Delph.